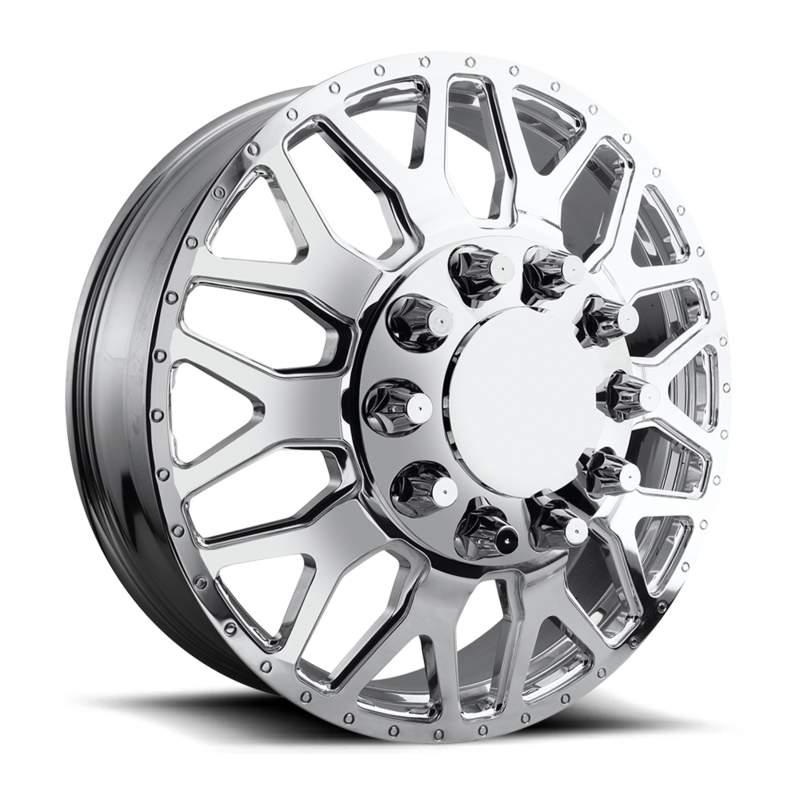 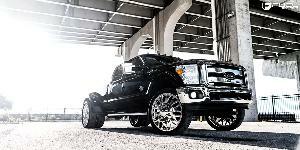 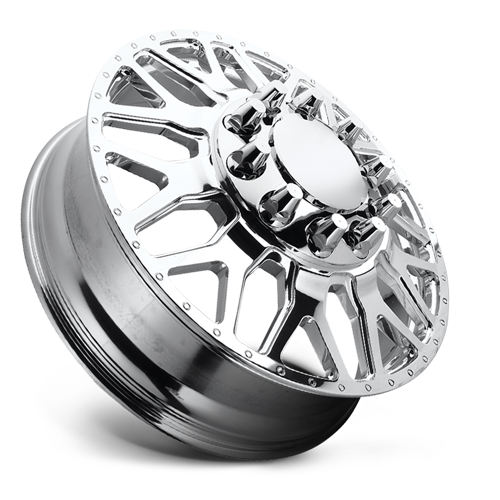 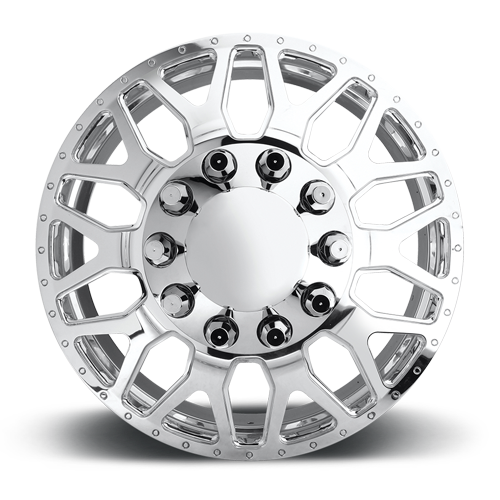 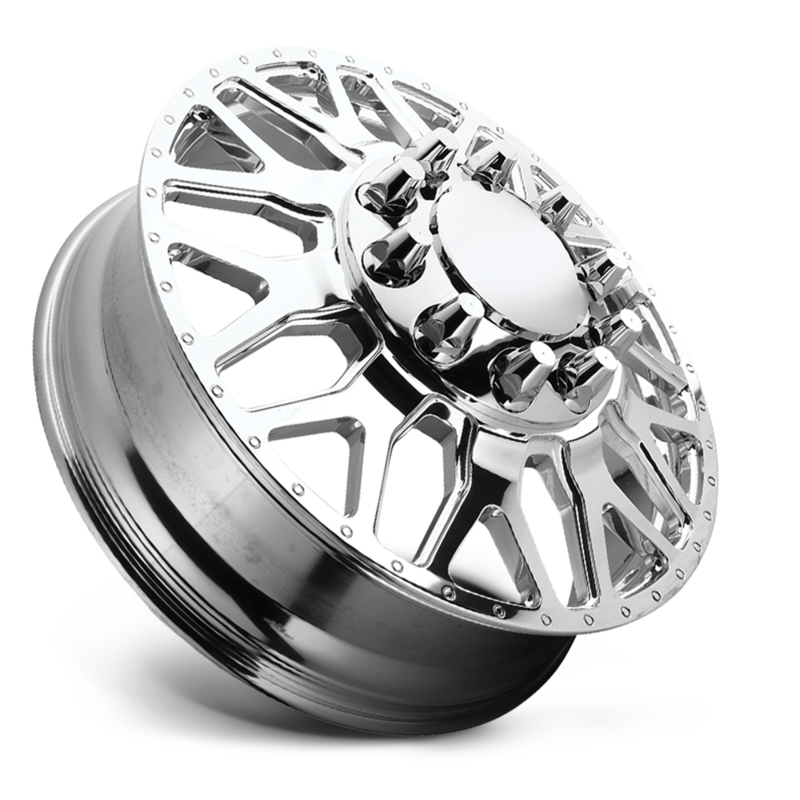 FF19D - 28 - MHT Wheels Inc.
Fuel Dually wheels do not need adaptors and are available for stock and lifted applications. 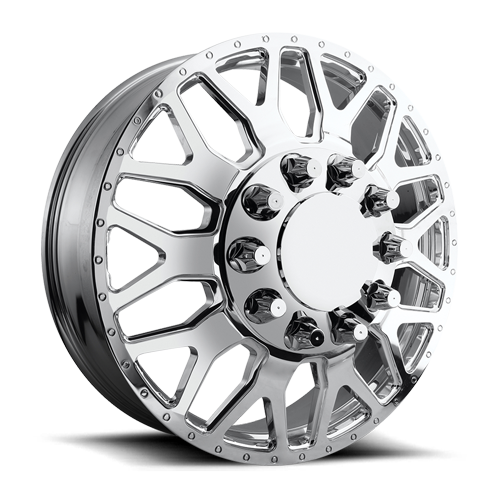 20" and 22" have 3 rear outer wheels available with offsets for street, mid level lift kits, and large lift kits with wider M/T Tires. 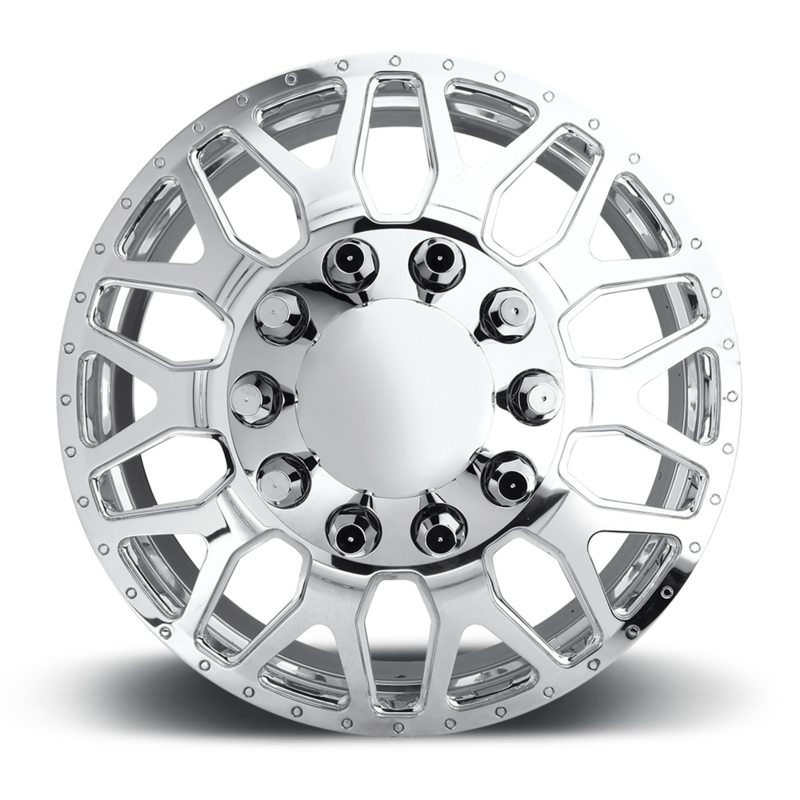 20x8.25, 22x8.25 and 24x8.24 available in Ford 10 lug applications.